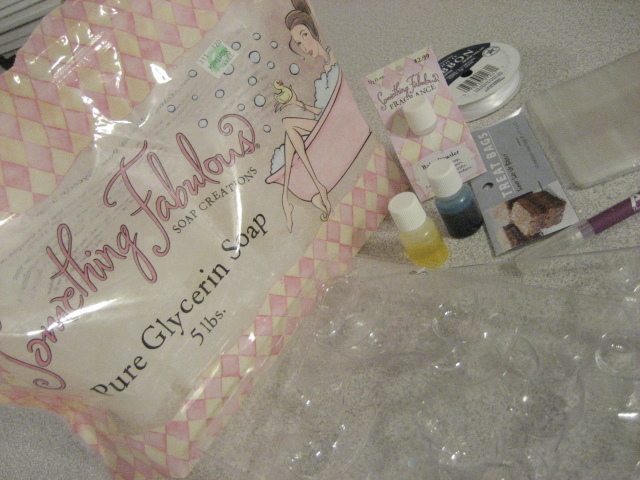 And, the best shower favor that ever I made? Well, the baby powder scented rubber ducky soaps I made for my super, awesome, action-figure worthy BFF’s shower a few weeks ago were pretty win. Since she is expecting a baby boy, whom I will forever call Anakin no matter what she decides to name him*, I made the baby ducks blue and the momma ducks yellow. Despite the fact that I can now count three people who have tried to eat them (how does that even happen?) they turned out well. Picked most of this awesome up at Hobby Lobby, and the Wilton candy molds were procured at Michael’s. 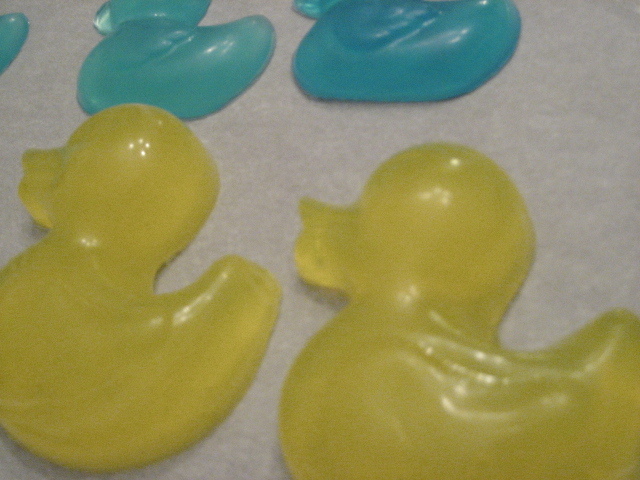 For the momma ducks I melted one cube of glycerine on low heat, one cube for six bebe ducks. If the glycerine started bubbling I simply lifted the pan a few inches off the flame and swirled it around to keep the top layer from cooling. After everything was all melty I added four drops of scent, and about 17 drops of dye and swirled it to mix. Pour the soap into the molds and let cool for 45 mins. Pop the soap out of the molds and let cool completely on a piece of parchment paper. It takes about two weeks for the soap to cure, but I don’t even really know what that means… soap curing? Like curing childhood diseases or something? Anyhow, there are six different colors that come in a pack. I made about 80 ducks (two batches for two showers) and used close to 8lbs of soap and two containers of yellow dye and scent. 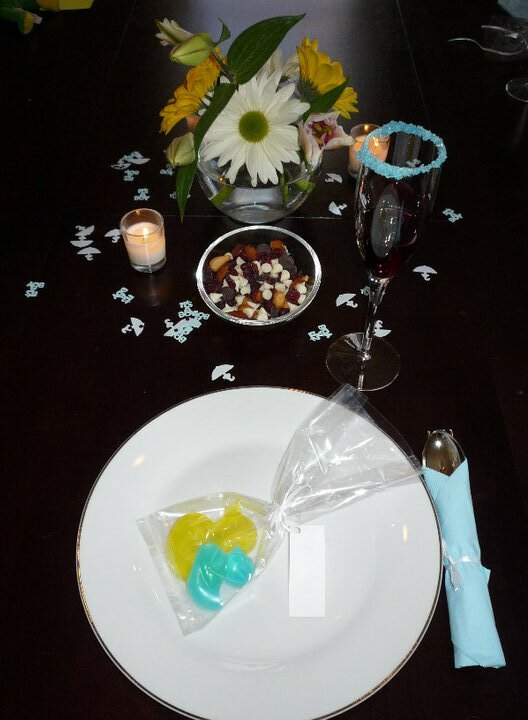 I wrapped them in little cellophane treat bags and tied with ribbon, attaching little tags with everyone’s names written on them so they doubled as favors and place cards. Eighty ducks and three weeks later my house still smells of glycerine and baby powder, which I would venture to say is better than cabbage and baby poop. *When she told me she was seriously considering that name for her little peanut she followed up by saying, “I don’t think that movie will be a big deal when he’s older, ya know?” To which I replied, “Star Wars? Really? Not that big, huh. 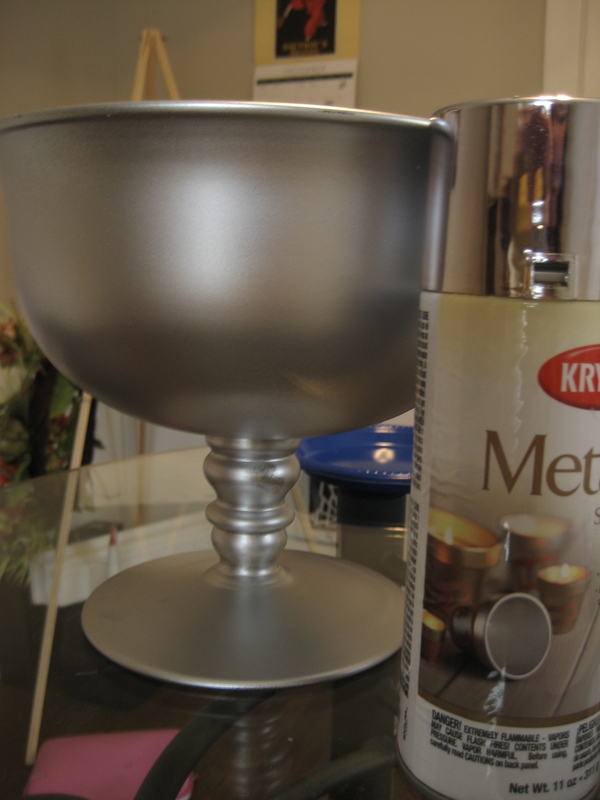 A few weeks ago, I stumbled upon a fairly simple mercury glass tutorial. I say simple because I am certain 9/10ths of the rest of the world could get it right the first time. Since the writer of said tutorial wasn’t there to hold the paintbrush in my hand or lead me through it a’la Patrick Swayze in Ghost, I am not surprised the whole business would take a wrong turn before I even left the craft store. However, I am stubborn and had reached the limits of my Christmas decoration spending for the year. 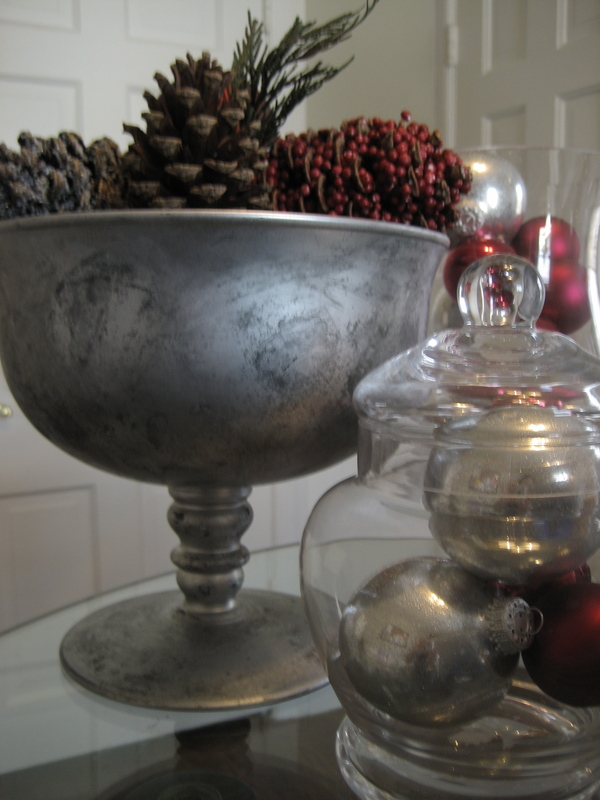 After reading the Faux Mercury Glass Ornaments tutorial by Stephanie Lynn, I thought I have this schnitz locked down. I owned this tutorial, so much that without even trying it first I “knew” I could adapt it. That’s what happens when people see a tutorial created by a talented person- said talented person makes it look easy-peasy, and said reader (ahem, me) gets cocky. 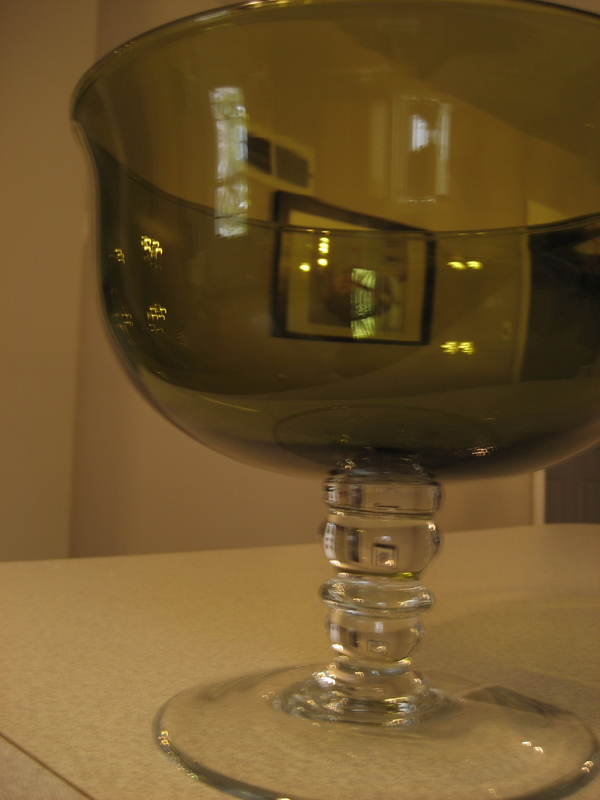 However, that would require mad skillz, and something that was reflective and metallic to start with. Rather, we had someone with mediocre skills dangerously wielding paints in the hopes of it magically becoming reflective and metallic. In my defense, the spray paint cap did have a mirror-like quality to it. Krylon and I would have had words, but the paint fumes kinda took the edge off my anger. 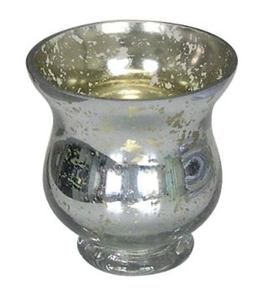 Which, kinda, if you squint your eyes and turn your head to the side, looks like really old, tarnished silver. I’m going with it. Yea… tarnished, really old silver. Not awkward at all when you think about it.